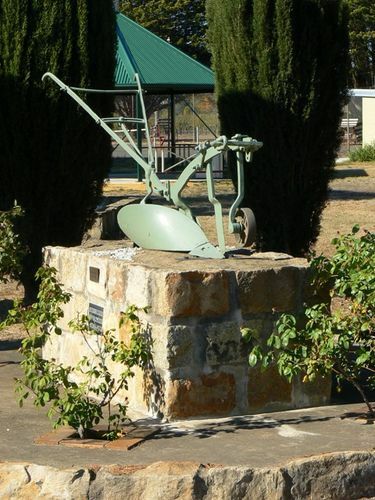 Memorial and replica of Brandt's Plough dedicated to local blacksmiths. Charles A. Brandt, a Dutch emigrant, established a blacksmith`s shop on this site in the 1880s. A clever man he developed a stump jump plough before the idea was patented by others. Upon his retirement his son Albert carried on the business before selling it to a Mr. J.K. Stewart.